Art&Seek is tracking the creative process of Verdigris Ensemble through guest blogs by its members as they navigate bringing the interdisciplinary performance, “Faces of Dallas,” to life. Verdigris Ensemble’s upcoming concert, Faces of Dallas, brings the words and stories of Dallas residents to audiences in a unique marriage of musical and visual art. 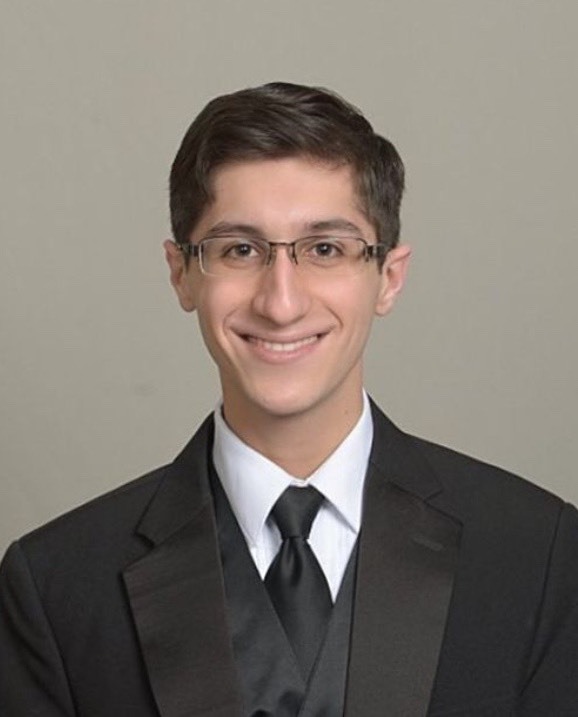 Woven into this tapestry of artistic voices are the choral compositions of Julia Durbin, winner of the ION Young Composer Competition, and Noah Salem, honorable mention. Verdigris Ensemble’s ION Young Composer Competition is the brainchild of Meredith Tompkins, a Verdigris soprano and board member. Verdigris cares deeply about the education of young musicians, and Meredith’s initiative formed a powerful new arm of our outreach work and our season finale concert. I first met Meredith Tompkins singing next to her in other professional ensembles in the area, and she immediately impressed me with her ability and the clear diligence with which she prepares for each gig. Soon after joining the Verdigris soprano section, she was inspired by the mission of the ensemble to join the Verdigris Ensemble board. She brings unrelenting positivity, clear-headedness, and kindness – valuable traits in the unpredictable and high-pressure environment of an arts start-up. As a composition undergraduate major and an educator, she drew on her experience to specifically design the competition towards high school and undergraduate students. I asked Meredith to give me her thoughts on the philosophy and mission of the competition and the process of engaging these young artists. Verdigris Ensemble’s “Faces of Dallas” takes place April 27-29 at Arts Mission Oak Cliff. Details. As a composer and composition instructor, how did you structure the competition to be approachable for emerging composers? I find that with my music students, too many choices and too broad a theme can be overwhelming. Using a “creativity within parameters” model seems to work better. It gets students thinking more outside of the box because there is an actual box to begin with. Some of the competition’s parameters this year included specifics like a choral composition for a 16-voice ensemble, little to no accompaniment, and a theme focused on the local DFW community. Why did you orient the competition towards such young composers, and what value do competitions like this provide them? Young composers face many challenges in the beginning that can feel like impassable roadblocks at times. Most students typically don’t have enough money to pay musicians to perform their pieces. With the exception of a few of the most equipped university composition programs, this drives composers to find (and beg) generous college or community friends to learn and perform their music, which also means that the quality of the performance is naturally much lower due to a lack of time, resources, and finances to create a professional product. Without a professional product, composers have even more difficulty entering national and international competitions with their music. Publishers are more inclined to accept a piece of music when the recording is of higher quality, and can even get it on the market faster if that is the case. I remember that when I was a composition student in college, the biggest challenge I faced was having all kinds of musical ideas in my head that could not feasibly be performed live and to the highest quality. This competition offers solutions to all of these problems, and encourages students to have the freedom to write more and more creatively. What was your initial creative impulse for this competition and how do you see it serving the next generation of musicians? ION was created to encourage young composers, to send them a message that their ideas matter and that their community needs them. Many people have asked, “What does ION stand for?” It’s not an acronym, but an idea based on the “ion” we find in science, which is a charged atom or molecule. These very small atoms are powerful because they attract other atoms and create strong bonds and useful/valuable substances. I (and the leaders of Verdigris Ensemble) want the same things for our next generation of composers: to come alongside their community, bring people together, and make new and wonderful things. CompositION, innovatION, exploratION; the possibilities are endless. If we don’t build up this next generation to continue the legacy of today’s compositional geniuses, who will? Julia and Noah, whose music will be performed as part of Faces of Dallas, also chimed in with their experience composing for this competition. They each told us a bit about their training thus far, their inspiration for this project, and where they see composition taking them in the future. Noah Salem, 11th grade: This competition gave me a reason to write. Instead of just sitting down and coming up with something that I’m going to play for myself and then save onto my computer, I had a platform to share my work. In my freshman year of high school, I took a Music Composition class led by the composer Victor Johnson, and we did a unit on Film/TV Scores which helped me realize that I absolutely want to go into that field. I love writing songs for other people. When I’m writing songs, I always have a specific person in mind. I know that doesn’t help the entire community, but it helps individuals, and sometimes that’s more important than helping everybody. One of my favorite quotes comes from one of my favorite composers, Philip Sheppard. He said “There are two ways that music is received. People hear it, or they listen to it.” I’ve always loved how that quote establishes a fine line between listening to music and actually hearing it and feeling it. Noah Salem. Photo courtesy of Verdigris Ensemble and Noah Salem. Julia Durbin, senior at SMU: In the prompt for the competition, one of the requirements was that the piece be about what Dallas means to me. To me, the two most important things about Dallas are SMU and my fiancé; hence, “Lover’s Lane” is about both music and love. I intentionally did not add words because I wanted everyone to be able to sing it, no matter what language they spoke. My fiancé lives off of Lovers Lane, which worked out perfectly for the Faces of Dallas theme, since Lovers Lane is a major street in Dallas! There is this stigma around composing that if you have not been trained and simply go by your ear, you are not composing quality music. This competition gave me confidence in myself and my composing ability. I liked that it was for young musicians. It was very welcoming and encouraging to those who, like me, do not consider themselves “composers” first. [At SMU], Dr. Harder’s Instrumentation and Arranging class catapulted me into writing full pieces, whereas before I had just written melodies or jingles. In May, I will graduate with my Bachelor’s of Music in Voice Performance and Music Education. I want to be a well-rounded musician and scholar. I plan to perform and teach, perhaps even be a professor someday. Julia Durbin. Photo: Abi Poe. Erinn Sensenig, Dallas-based soprano and founding member of Verdigris Ensemble sings with various choral ensembles such as Vox Humana, Orpheus Chamber Singers, Highland Park Chorale, Incarnatus, and Dallas Chamber Choir. She has also sung as soloist and choir member at Victoria Bach Festival. Erinn is a staff singer at Church of the Incarnation and teaches a private voice studio of middle and high school students. 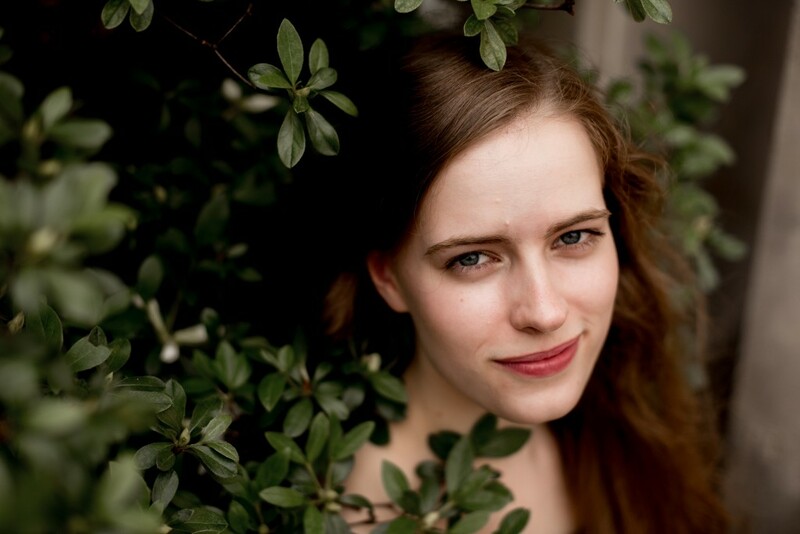 Meredith Tompkins is a Dallas-based soprano completing her second season with Verdigris. 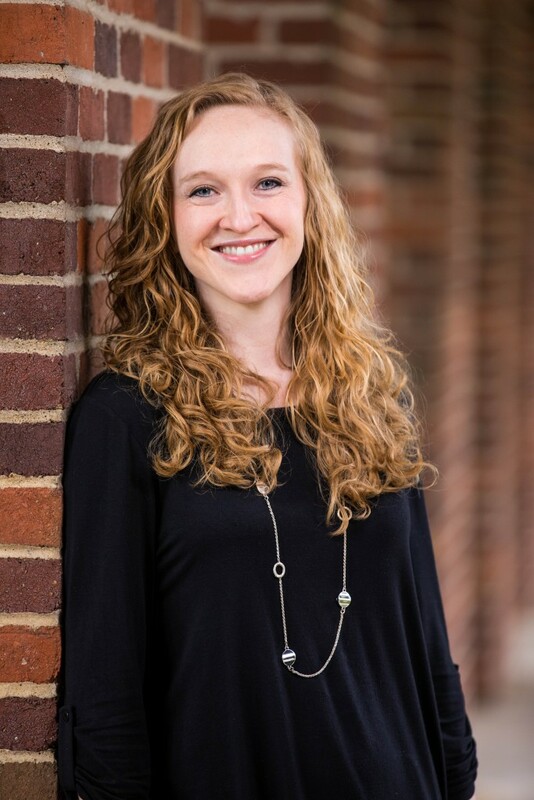 Currently, she is the associate choir director and private voice teacher at Harwood Junior High in Bedford, TX and is an active composer of choral music for young voices. She has been a member of Orpheus Chamber Singers since 2013, and sings with other Texas ensembles, including the Dallas Chamber Choir, Highland Park Chorale, and the Central Texas Choral Society. She is a two-year participant in the Dallas Choral Festival and sang with the orchestra at Camp-of-the-WOODS resort in Speculator, NY from 2012 to 2016. She earned a Bachelor’s degree in Music Theory/Composition from Dallas Baptist University in 2011, and a Master’s in Vocal Pedagogy from Texas Woman’s University in 2014. As a teacher and performer, her passion lies in making music accessible for future generations and inspiring a love for the arts in others.